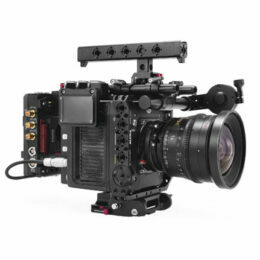 This 4×4 carbon fiber matte box features a swing-away design for easy lens changes. It is designed for use on 15mm LWS rod systems. Two filter stages allow for multiple filters to be used at once, one of which is 360-degree rotatable. Included in the package is one top French flag and two side flags to provide optimal flare protection. Additionally, a fabric lens donut is provided to prevent any light leaks.